Not only in Burke, Virginia but throughout Northern Virginia, the roads could be covered with ice soon. Although fall just began, we are only weeks away when area roads from Springfield, Virginia and Fairfax, VA could be covered with thin layers of ice. Make certain you have a grip! To have adequate snow traction, a tire requires at least 6/32-inch-deep tread. (New passenger-car tires usually have 10/32-inch of tread.) "Summer tires" have little or no grip in snow. Even "all-season" tires don't necessarily have great snow traction: Some do, some don't. 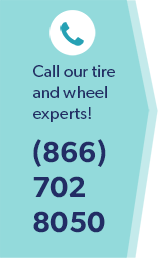 If you live in areas of Burke, VA that have rural roads you may wish to consider changing your tires to a "winter tire". Wiygul Automotive Clinic features leading manufacturers of snow tires such as Goodyear Tires. Make sure you can see. Check and replace your windshield wiper blades. Make certain that the inside of your windows are cleaned thoroughly. Make sure your windshield washer system works and is full of an anti-icing fluid. Drain your systems of older fluid by running the washers until new fluid appears. If you're in the Burke, VA-area, bring your car by and one of our auto specialists can help you if necessary. Be seen: check your lights. Use your headlights so that others will see you and, we hope, not pull out in front of you. Make sure your headlights and taillights are clear of snow. Keep in mind in late fall and early winter to also be on the lookout for deer. The huge deer population in the Northern Virginia-area can prove dangerous to area drivers. When deer see a car's headlights they will often freeze dead in the middle of Virginia roads, so be cautious! Give yourself a brake. Learn how to get maximum efficiency from your brakes before an emergency. It's easy to properly use antilock brakes: Stomp, stay and steer. Stomp on the pedal as if you were trying to snap it off. Stay hard on the pedal. Steer around the obstacle. If your car has an ABS brake system, and if you drive on icy roads that are covered with snow, modify your ABS technique: After you "Stomp" and the ABS begins cycling — you will feel pulses in the pedal or hear the system working — ease up slightly on the pedal until the pulsing happens only once a second. For vehicles without ABS, you'll have to rely on the old-fashioned system: You. For non-ABS on a mixed-surface road, push the brake pedal hard until the wheels stop rolling, then immediately release the brake enough to allow the wheels to begin turning again. Repeat this sequence rapidly. This is not the same as "pumping the brake." Your goal is to have the tires producing maximum grip regardless of whether the surface is snow, ice or damp pavement. If you feel that your cars brakes are not functioning correctly -- or you hear a grinding noise -- you should have your brakes inspected by one of the Wiygul Automotive Clinic brake specialists for brake maintenance and brake repair. Watch carefully for "black ice." If the road looks slick, it probably is. This is especially true with one of winter's worst hazards: "black ice." Also called "glare ice," this is nearly transparent ice that often looks like a harmless puddle or is overlooked entirely. Test the traction with a smooth brake application or slight turn of the wheel.